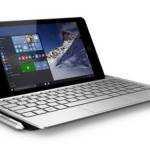 Sony Vaio Duo 13 Specifications and information. We’ve got a high-end version of the Sony Vaio Duo 13 here. It’s running a 1.8Ghz Core i7 4500U with HD 4400 graphics, 8GB of RAM and 256GB of SSD. There’s 3G inside this too. All models get the stunning full-HD Triluminous display and Connected Standby, a first for a Core-based PC. Starting with the working fascia then we are happy to say that the keyboard is good. It’s way better than the keyboard on the Vaio Duo 11 and the mouse pad works better than the optical mouse pointer on the Duo 11 too. 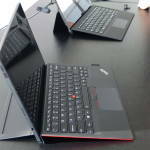 It’s not the keyboard you want for writing a book (see Dell 6430U, Lenovo Thinkpad Carbon X1 for that!) but for this blogger, it’s acceptable, especially given the thin design. It’s back-lit. The screen slides up and locks in one position which isn’t a problem given the wide viewing angles. The stable fixing also brings a huge advantage for anyone using the digitizer (N-Trig) layer because it doesn’t wobble. In that respect the Sony Vaio Duo 13 beats the already digitizer-optimized Duo 11 because it’s simply got a bigger screen. We do hit one area of concern with the hinge though. It feels a little vulnerable and when you check out the small fixings and consider the potential leverage that could accidentally be placed on it you’ll probably mark it down for ruggedness. Sony must have done their testing on this but we have to say that the design, with always-exposed screen, is less than rugged. There’s no Ethernet port on the Duo 13 which means you’ll have to take the supplied dongle with you between your hot desks. If you have to fall back to WiFi in an office you may not be in the best position. The integrated Broadcom adaptor appears, on this production sample, very weak. It’s 2.4Ghz only (not ideal for any busy area) and the signal drop-off in a test was one of the worst we’ve experienced. Again, wait for retail model reviews before you strike if from your list but even lack of 5Ghz support is worrying. In front of us right now is a Dell XPS 12 with an Intel 7260 AC-capable NGFF module and the difference is chalk and cheese. Two USB3.0 ports, a headset port and an SD card slot are provided along with a SIM card slot on the rear of the screen. There’s a pull-out digitizer holder , stereo speakers (good quality,) volume control buttons, NFC, an Exynos 8mp camera (good enough for some business card scanning and OCR with the supplied app, but not for photography) and a front-facing web cam. GPS, accelerometer and ambient light sensor. In a Cinebench test we saw a maximum 22fps on the OPenGL test which is a big improvement over Ivy Bridge HD4000-based Ultrabooks that turn in 13-16fps on this test. Subsequent runs turned in about 20fps. The CPU test returned a good score too. 2.91 under mains power and in laptop mode, 1.67 which is lower than current Ultrabooks running in balanced mode. 3DMark tests failed to run on this review sample. Battery life is a difficult thing to test right now. Initial findings were that it under-performed our expectations which could be related to this being a production sample and a device that’s doing the rounds at presenations and shows. The battery is a 50Wh module though and the indications are that 10hrs+ of web working won’t be a problem. In connected standby mode you’ll be able to use it as an internet radio for weeks and we expect over 10hrs of video playback. 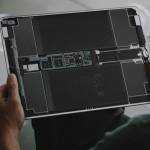 It’s a shame we can’t bring you detailed battery life test results but while you’re waiting, take a look at the tests we did with Haswell on the Dell XPS 12. We spent some time in a live review session with the Sony Vaio Duo 13 and here’s the recorded segment from that session showing the overview. A ground-breaking Ultrabook, laptop, tablet and PC in terms of technology. Battery life is going to be great and Connected Standby is something we hope to see on more Ultrabooks soon. The system works well as a table-top tablet and digitizer easel. Highest performance is above what you’ll see on any Ivy-Bridge-based Ultrabook. The keyboard is very usable in laptop mode and the mouspad is better than you’d think. The screen? Wow! Watch out for WiFi performance in other reviews (we’ve got a production sample here and can’t be 100% sure what the status of the WiFi is) because this could be the only, but significant weak point. The lack of 5Ghz band coverage is going to be a deal-breaker for many. 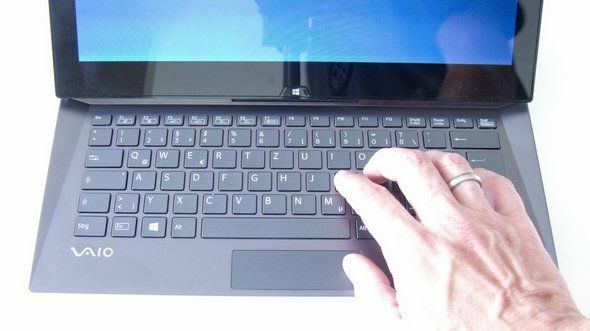 Apart from the that, the Sony Vaio Duo is probably the most desirable Ultrabook convertible we’ve ever tested and it’s an impressive, ground-breaking showcase for both Sony and Intel. 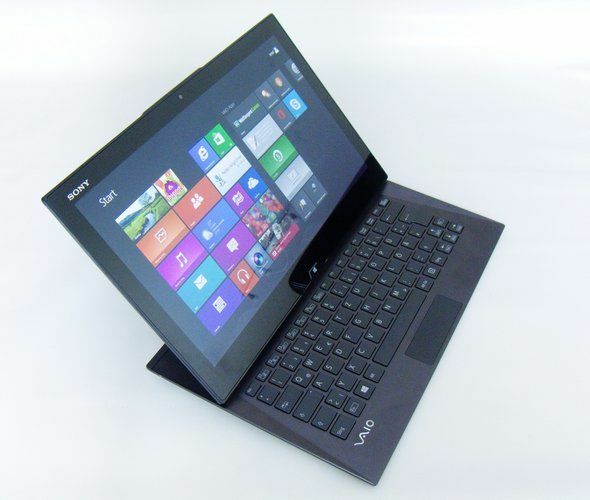 We will be following up with a full review of a retail version of the Sony Vaio Duo 13 as soon as possible. If you have questions though, we’ll try and answer them in the comments below. For such an expensive notebook, Sony really skimped on the WiFi setup. Other reviews noted this as well. I see this all too often with notebooks. Too often you pay over $1000 for a notebook and the WiFi chip is some cheap single antenna one. Worse still, they put in one from Ralink or Realtek which both have a long history of having unreliable connections. I really don’t understand why OEMs cheap out on such an important piece of hardware for a mobile device. For me, I always get the Intel 6300 WiFi module. It has 3 antennas for more 3 spatial streams. Even when 3 spatial streams aren’t being used, the antennas can make use of diversity techniques for a more reliable connection. Also, it has great Linux support. I’d definitely sacrifice CS for a reliable 3 antenna dual band WiFi chip. The rest of the system can still have hardware that are CS compatible for better overall battery life even though CS won’t work. At least, that’s how I think it’ll work. For a mobile device targeted at mobile tasks (ie. low performance requirements), performance is more than enough even when permanently set to perform at SDP. I’d definitely sacrifice Connected Standby for a 3 antenna WiFi setup. It’s the primary connection to the rest of the world and I won’t be using the device much without internet access in the first place apart from editing documents and saving looking up reference information for later. Maybe, I’ll squeeze in playing a local video every now and then. I also rely on WiFi to transfer large amounts of data within a LAN from a work or home server. I don’t see why they can’t keep the rest of the Connected Standby requirements and replace the WiFi chip with a dual band, 3 antenna one. Of course, Connected Standby won’t work anymore but the rest of the hardware will still use very low power (ie. LPDDR3, soldered low power SSD, U/Y sereies Intel chip, etc.). I really hope an OEM comes out with a slider (preferably 11.6″ or smaller with bezels just large enough for tablet use) that has a 3 antenna, dual band WiFi setup. Maybe even 802.11ac support since I have an 802.11ac router. I have a Dell Latitude 10 which has a dual band single antenna Broadcom WiFi chip. Wireless is pretty crappy. Actual throughput maxes out at ~22 Mb/s on a reported 150 Mb/s link using the 5 GHz band. During transfers of large files, the data rate varies a lot which isn’t good. For things like automatic quality controlled video calls and streaming videos, this can have a negative effect even if your internet connection is 50 Mb/s up and down. When the WiFi data rate dips, this will get detected by the video chat app or streaming server and will lower the quality which will persist for a long time even when the WiFi link gets better unless you manually reconnect/refresh the connection. I’ve seen this with Skype, Amazon Video and some TV network sites. Connecting an Ethernet cable via the dock gets rid of these problems of course. A lot of people who experience internet issues think it’s their ISP but it’s very likely that their bad WiFi connection is causing the problems. I’ve seen these WiFi related issues on a variety of notebooks with bad WiFi designs (ie. usually single antenna and/or a crappy chip). Now, to me, the WiFi chip and number of antennas are just as important as the CPU, RAM, drive and screen when choosing a notebook. It’s actually more important than some of those. It can be a deal breaker. I wouldn’t get the Dell Latitude 10 again nor this Sony Vaio Duo 13. I may not be getting any Connected Standby capable device for a while as well. I will only settle for single antenna devices on smartphones. Otherwise, I’ll only accept dual band 3 antenna WiFi designs. Maybe 2 for 10″ or smaller screened devices. Half of people’s WiFi problems are due to interference and hence contribute to a good amount of internet issues. As mentioned, things like voice/video over IP , audio/video streaming and large data transfers would be things most people would notice being affected. MIMO and beam forming techniques will be more resilient to interference resulting in a more consistent connection. 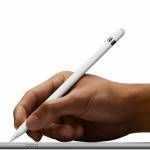 I think it’s time notebook makers stop making the WiFi design an afterthought in today’s heavily wireless world. It’s not just the Vaio Duo 13 that suffers from this. Pretty much most notebooks do. Reviewers should put more focus on WiFi testing like data rate and latency variances over a long period of time. Simple speed tests won’t be enough for an adequate evaluation. Too bad WiFi testing will be dependent upon the amount of interference. I doubt most reviewers will have some sort of lab environment where they can control the level of interference in order to give some context to the results. I can see AnandTech doing something close to this though. I guess some can make time graphs and point out things like: this is when I turned on my microwave, this is when I used my cordless phone, this is when my neighbor started downloaded something, this is when I used a baby monitor and this is when I answered my phone using Bluetooth. Haha. It is always helpful to have multiple reports, especially if the tests are done in a constant way, whatever the interference but I agree, you won’t get lab wifi tests from free online reviews. Connected Standby requirements are very aggressive, so non-compliant device might be way above than alone. There’s no reason we can’t get a good WiFi chip while supporting CS. I’m pretty sure we’ll see it soon. Also, the Duo 13 performs well because it uses cTDP to full extent, both up and down. You won’t see this kind of performance in other 15W chip setups. Can the Vaio be set to always be in SDP mode? 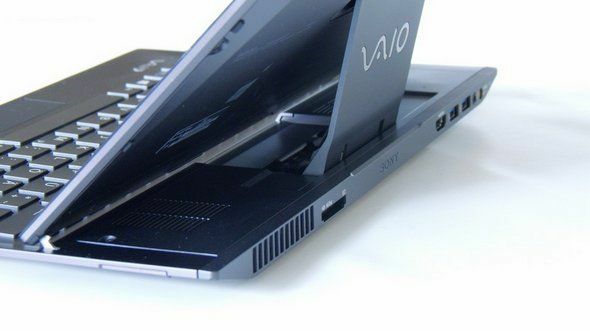 When does the Vaio go into cTDP up, TDP and cTDP down? I’m going to pass on the Vaio Duo 13 because of the crappy WiFi but I just wanted to know when cTDP is engaged to compare with other sliders. I hope maybe a 10″ or 11″ slider comes out using say the 4.5W SDP Y chip. It’d be great to have it be set to always perform at SDP and hopefully never have the fan turn on. FYI I’ve found another CS ultrabook with the Broadcom WiFi. It too is poor. If this is not fixed quickly, CS devices could be the ones to avoid. I’ll be writing to my contacts in Intel as soon as I can about this issue. Perhaps the problem is the broadcom wifi adapter since the pro 13 uses the intel N-7260 wifi adapter and with the latest driver update people no longer have any issues with their wifi. Chippy, what is the other ultrabook with CS? It’s the Intel ultrabook developer kit. I hope maybe a 10? or 11? slider comes out using say the 4.5W SDP Y chip. It’d be great to have it be set to always perform at SDP and hopefully never have the fan turn on. Only the Y series chips have the ability to use SDP. Sony Vaio Duo 13 uses cTDPdown on Slate mode, Nominal on Laptop unplugged, and cTDPup on Laptop plugged in. Shouldn’t cTDPup be an option when power is not plugged in (and creating heat in the charging circuits?) You would get more out of turbo! Chippy, the Intel 7xxx series Intel wireless products supports the Power Optimizer feature, which is what enables Haswell to go into such low power states. I assume lot more devices based on it will be available by September, when new generation Ultrabooks officially roll out(unlike the trickle now). This one is just way overpriced…1500$ is not pocket change. PArticularly not when you can get other touch ultraportables for like 400$…and most people won`t care if it is last gen. I was really hoping for better when I read some months ago that the HAswel ultrabooks could be at more mainstream prices (one of your article said around 600$ as starting price), but this one is way of. Sony clearly don`t understand supply and demand. If it was 1000-1100$ I would buy it. I bought one in August 2013. It’s beautiful. Now I have a laptop and a 13″ i7 tablet in one. No complaints so far. This seemed like the nearly perfect ultrabook, except for the lack of 3-antenna dual band WiFi, which I could probably accept. However, I have read many reviews regarding overheating issues and fan noise. That’s a deal breaker, as I’ve dealt with laptops in the past that “run hot”, and they eventually fail prematurely. My Duo 13 has an i7 and the 5000 video thingy in it. It runs as cool as a cucumber. To date (2 months) I’ve had zero wifi issues. My bad, I was referring to the Pro 13, regarding overheating problems. I have the Vaio pro 13. It is`nt perfect, but what I have realized after 12 months of waiting for the perfect ultrabook is; It does not exist yet! People have found more or less “serious faults” with every ultrabook on the market…and it has prevented me from buying anything until now. After 2 months with vaio pro 13 I can say that it is not perfect, but it is pretty good. I had no problems with overheating or noise, but I did not use it for anything to difficult. Did not gaming or anything. It is really really lightweight,which is great. 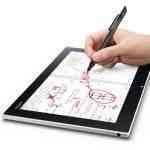 I also find I enjoy the touchscreen, even if it is not a convertible ultrabook, it still has its merrits. I was wanting to buy the Sony vaio duo, but found it way overpriced. The main advantage I figured would be on busses and planes where the space is too thight for a laptop, I could use it as a tablet. Now I actually found the touchscreen laptop will do the same job, as you can just tilt it closer to you and use the touchscreen exclusively. It is a decent machine, and should keep me happy until they release a cheaper,lighter convertible with better wifi ! hello, I have a Sony Duo 13, I am in Costa Rica, Central America, I need to upgrade this machine to 3G modem, can any help me?